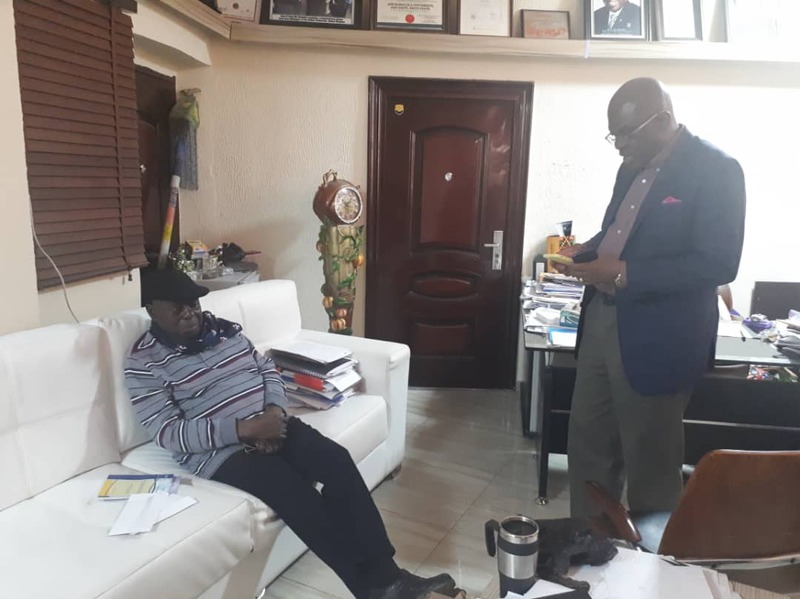 The Prince of Telecommunication Law, Paul Usoro SAN who is currently in Ado Ekiti, paid a courtesy visit to his role model Chief Afe Babalola, SAN at his office at the Afe Babalola University, Ado Ekiti, earlier today, 25th May 2018. 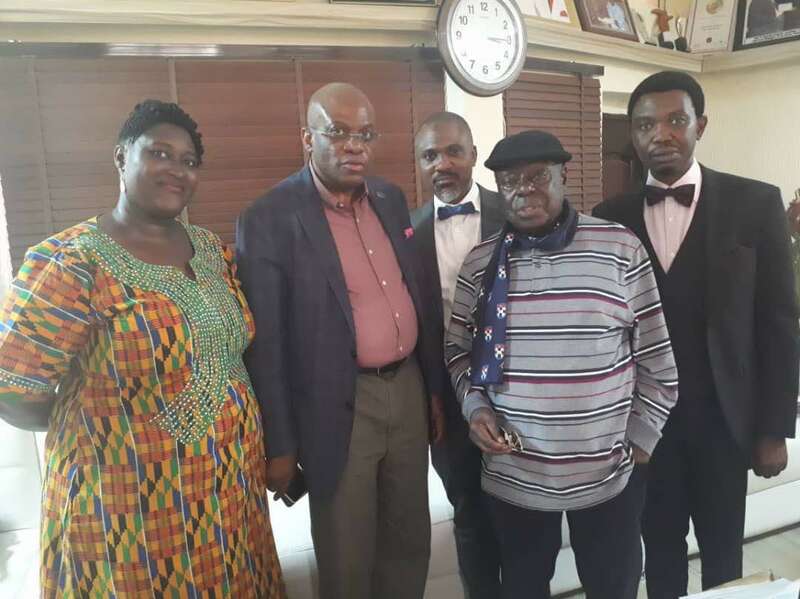 During the visit, Paul Usoro, who is one of the NBA Presidential candidates for the forthcoming election, informed the colossus that the purpose of his visit to the Elder Statesman is to notify him of his aspiration to lead the Bar, considering that Chief Afe Babalola is one of the great lawyers used by God to elevate him to the rank of a Senior Advocate of Nigeria (SAN). He also noted that the elder statesman has been very contributive to who he is today. 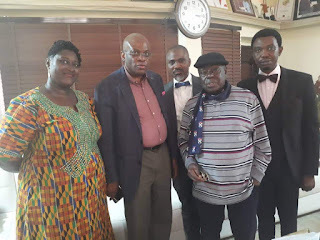 Chief Afe Babalola was very elated to receive Mr. Usoro, SAN and his team in his office. He stated that Mr. Usoro, SAN is his son and it will be good for him to be the NBA President. 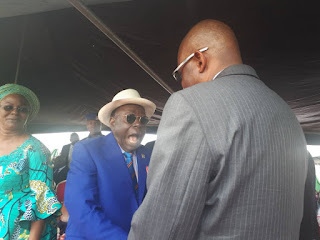 He further stated that Mr. Usoro represents what he as a person stands for – “Industry, Discipline and Integrity”. 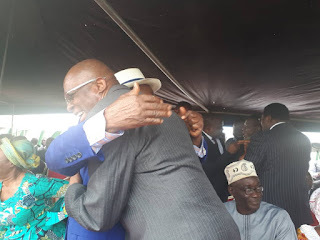 He then concluded by praying for Paul Usoro and declaring his support for him. 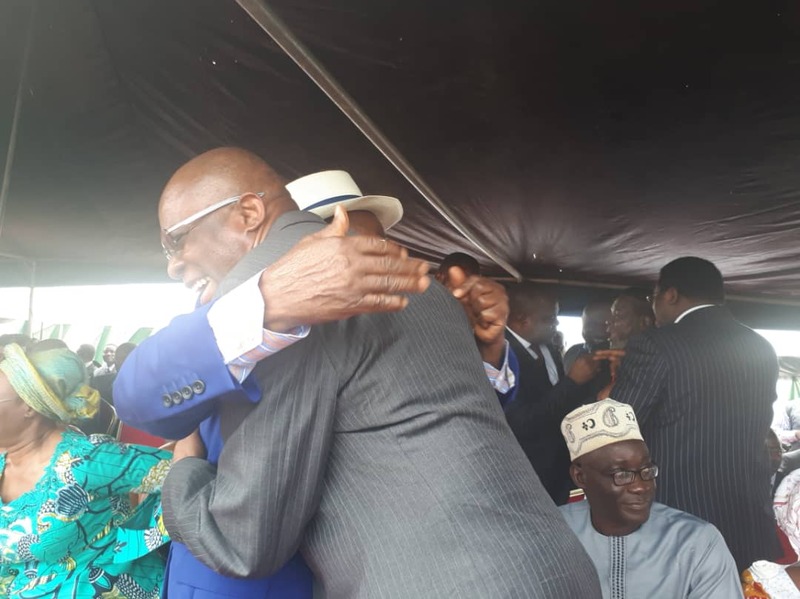 The Learned Silk arrived Ekiti yesterday for the NBA Ado Ekiti Branch's Annual Bar Dinner and was well received by prominent members of the Bar and Bench during the commissioning of the Ultra-Modern High Court Complex, Ado Ekiti.